Arson is a very serious type of crime, and arson charges are dealt with quite severely by Colorado state. If for any reason at all you receive an arson charge in the greater Denver area, you will need the professional knowledge and skill of an experienced Denver arson lawyer. 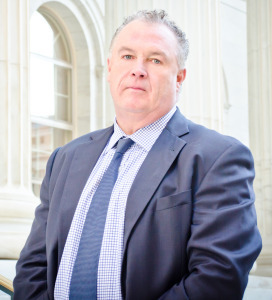 With 19 years of experience and an impressive record of success, Denver arson attorney, Daniel M. Murphy, represents clients charged with arson in all four degrees recognized by Colorado law. State laws classify arson in four different degrees. First Degree Arson is a Class-3 felony. Colorado law says you have committed first-degree arson if you “knowingly set fire to, burn, cause to be burned, or by the use of any explosive damages or destroy, or cause to be damaged or destroyed, any building or occupied structure of another without his consent.” First degree arson is punishable by up to 12 years in prison, but if explosives were used, the crime could be labeled an extraordinary risk which increases the maximum penalty to up to 16 years in prison. Second Degree Arson is a Class-4 felony, but only if the damage is more than $100, but it’s a Class-2 misdemeanor if the damage is less than $100. Second Degree Arson only applies to property that belongs to another, other than buildings or occupied structures. If the crime is a class-4 felony, you could face up to six years in prison, however if it is a class-2 misdemeanor, the maximum penalty is one year in county jail along with a $1000 fine. Third Degree Arson is a Class-4 felony and occurs when a person, with fire or explosives, intentionally damages any property with the intent to defraud. Third degree arson is punishable by up to six years in prison. Fourth Degree Arson is a class-4 felony if someone is endangered during the crime. However, if only property is endangered and that property is worth $100 or more, the crime is a class-2 misdemeanor. If only property is endangered, but the property is worth less than $100, you will be charged with a class-3 misdemeanor. You may be charged with fourth degree arson if you knowingly or recklessly start or maintain a fire or explosion, on your property or on the property of another, and as a result of your actions, place another in danger of death or serious bodily injury, or place a building or occupied structure in danger. When charged with a class-4 felony, you may face up to six years in prison, however if you’re charged with a misdemeanor, the sentence will not be as severe. A class-2 misdemeanor carries a maximum sentence of 12 months in jail and a $1000 fine, while a class-3 misdemeanor has the potential for a maximum sentence of six months in jail and a $750 fine. If you, or a loved one, is being investigated in the Denver area for an arson crime or has already been charged with arson, then you need to hire an experienced Denver arson lawyer who knows exactly how to defend you. Daniel M. Murphy will negotiate with prosecutors and will work to have charges dismissed or reduced altogether. If you require courtroom representation, Denver criminal defense attorney Dan Murphy has represented defendants during numerous trials. Murphy has an in-depth documented record of success and a reputation,which is impeccable and above reproach. In the beginning, firefighters play an important role in the investigation of arson crimes. Because they are the first people to go to the scene of the crime, they may be the first ones to notice any signs of arson. 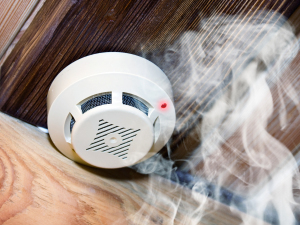 Firefighters may notice obvious signs of arson such as multiple points of origin or the use of accelerators to start the fire. When these signs are present, the firefighters will alert the authorities who will then launch an arson investigation. Investigators will look for the motives behind the crime. Typically, arson crimes are motivated by insurance fraud (attempting to collect money from damaged property), revenge (attempting to harm someone’s property to get back at him or her), or to hide evidence that another crime has been committed. The investigation can quickly become complicated because of the vast amount of scientific evidence needed to prove guilt. If you are being investigated for arson, it’s essential that you contact an experienced Denver arson lawyer promptly to defend your rights, along with determining the best and ideal outcome for your case. Dan Murphy will aggressively work to defend your case by interviewing witnesses, consulting with arson experts to dispute evidence, and thoroughly reviewing all documents in the investigation to find holes in the case. Because of the complexities of an arson case, it’s important that you hire a Denver criminal defense attorney with experience in defending arson cases. Don’t hesitate to contact Dan Murphy, a knowledgeable Denver arson attorney. As a skilled criminal defense attorney, Daniel M. Murphy handles cases involving arson, theft, drug possession, harassment, child abuse, and sexual crimes. After an arrest, call Dan Murphy’s criminal law office for legal advice before you speak to the police. Criminal defense attorneys strongly recommend that you do not speak to law enforcement prior to meeting with an attorney who can provide you with legal assistance and aggressively defend your earned rights. Dan will help you compile evidence and witnesses for your defense while simultaneously working to discredit the prosecution’s evidence and witnesses. The facts – your side of the story – will be clearly presented, and Dan Murphy will always work to defend your earned legal rights and make sure your case results in the best possible outcome. Denver arson attorney Daniel M. Murphy has the legal skills and courtroom experience you need, and – an added plus – he works with you personally. You won’t deal with a law firm so big that they forget your name and you become just another case number. After evaluating your arson case, Denver arson lawyer, Dan Murphy, will go over your legal options in detail so you can begin building your defense. Dan Murphy provides a friendly and comfortable environment to discuss legal needs with clients. He can quickly to the core of whatever legal matter you face and save you from wasting your money, grief, and time. Please schedule your free consultation with Daniel M. Murphy in his downtown Denver office. Fill out the form on the website, or call him at 303-996-8998. The office is on East 7th Avenue, which is two blocks east of Broadway. You can access free parking. Payment plans are also available for your legal services.